– Dr Ian. A. Napier, Entrepreneur and Founder of IMCG UK. Loved and missed. Ian Napier knew how to realize ideas. The keys are power, knowledge and personal relationships. His private contacts were extensive and only a call away, he was in close contact with some of the world’s most influential people. This is the network he built, in addition to other senior positions, over the years as the head of the establishment of Scanraff in Lysekil, and when he was involved in the merger when NCC was formed. In the mid 90′s he founded IMCG UK. Ian Napier was an incredibly caring person, an amazing business mentor and a unique problem solver. Without his support and expertise we could not have set up IMCG Sweden. We are extremely grateful for the years we had together. IMCG has always offered strategic consulting, development of business concepts and product innovation. Our aim is to strengthen the environmental technology market and help our customers develop their business in line with EU environmental strategies. We have strong core values aligned with these objectives, for example repeatedly declining assignments with any suggestion of arms or oil exploration in the Arctic. IMCG, Innovation Management and Communication Group, has a global perspective and an international network that enables us to work for clients worldwide. IMCG UK was founded in the mid 90’s by Dr. Ian. A. Napier when he returned to England after many years of working as Vice President at Stanford Research Institute International in San Francisco, California, and Head of EMEA also for SRI. In 2001, Ian was responsible for Innovation for the EU funded R&D project Hipcon, whose consortium was led by IVL where Magnus Andersson and Jonas Norrman worked. The project Hipcon was a great success and received several awards as one of the most successful EU funded demonstration projects ever. During this collaboration, we saw that there was a need for business innovation support with a focus on green innovation and strategy. 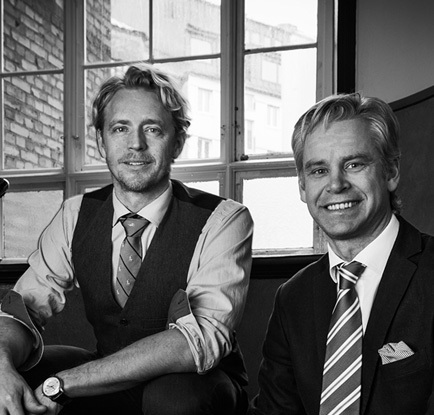 The Swedish IMCG was founded in 2008 to offer the market this expertise. IMCG establishes Strategic Communication. IMCG was appointed Communications Director for Mistra SIRP – The Sustainable Investement Research Programme – and successfully deploys ’Travel Warriors’ for Chalmers University of Technology and Region Västra Götaland. In April 2013 the EU project Celsius began, which places the City of Gothenburg as leader of all Smart Cities of Europe. IMCG was responsible for the entire application process, from application and building of the consortia to contract negotiation and launch of the Project Management Office. The IMCG strategy is to build green innovations that become spin-offs to the market. Green IT Homes, which is a business concept for energy information services, has established itself in the market with leading international business partners. IMCG offers Training. The first course was on “How to write a winning EU application”, 16+ years of condensed expertise and tools. This is proving a success with over-booked sessions.